For Episode 83 of the Metta Hour Podcast, enjoy this conversation from the archives between Sharon and beloved author and Celtic mystic, John O’Donohue. Redefining Our Potential (Opening) – How do our narratives shape what is possible? Sharon opens with an examination of the definitions of ourselves that we develop around what we can do, what our lives are about and where the greatest meaning is to be found. 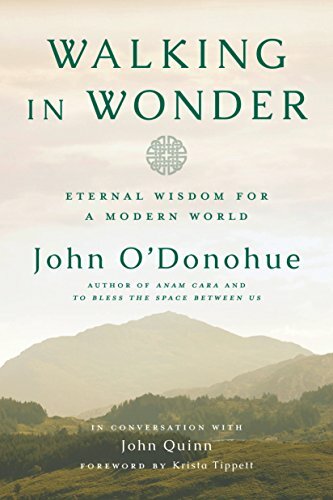 John O’Donohue looks at how we can limit our potential with the beliefs we carry. Showing Up (16:35) – One of the areas where the Buddhist and Christian traditions intersect is around the idea of presence and engagement, both in our daily lives and in our spiritual practice. Sharon and John talk about the grace waiting in every moment that is waiting for us to call it forward. They discuss the inseparable principles of suffering and transcendence that lies at the heart of both traditions. The Heart of Compassion (27:30) – How does a compassion and presence for one’s suffering change the way that suffering is experienced? Sharon and John reflect on the powerful act of compassion that occurs when we just show up for suffering. Enough Trust to Let Go (42:50) – John and Sharon take questions from their live audience around faith, redemption and bringing awareness to how we offer ourselves. We close with a poem written and read by John on the subject of cultivating presence by bringing attention to the quality of our words.